Itaca Innovation has created a new Arduino Zero compatible development board which offers a very small and narrow DIP-16 form factor which can also be accessed using USB and is OTG enabled. Watch the demonstration video below to learn more about the tiny Arduino development board which is this week launched via Kickstarter to raise the required €21,000 in funding it needs to make the jump into production. – FLASH: 256 kB (248 kB due to integrated bootloader). – RAM: 32 kB, zero wait states. 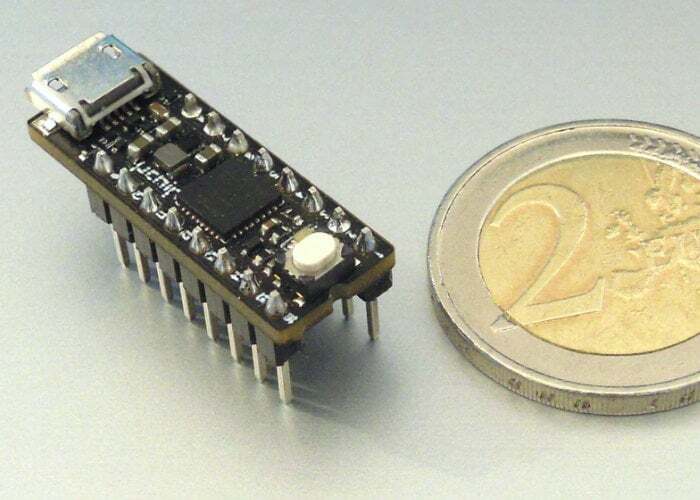 – Powered via USB or externally (3.3V to 5V). – Integrated 500-mA boost and 1-A buck converters and automatic power switching circuitry. – Each converter can also be individually turned off, e.g. if you want to force power draw exclusively from external pins (self-powered device), or if you want to turn off an external USB device connected with a micro A cable. – When powered through the USB port, the output voltage on the power pins can be selected via software to be either 3.3V or the USB voltage (typically 5V +/- 10%). – 14 I/O pins (2 of them can be used to connect an external SWD programmer/debugger) and 2 power pins (VCC and GND). – Status LED (it can be turned on/off via software using a single instruction). – Multi function push button for reset/program. – 7 12-bit ADC inputs. – 14 external interrupt input pins. 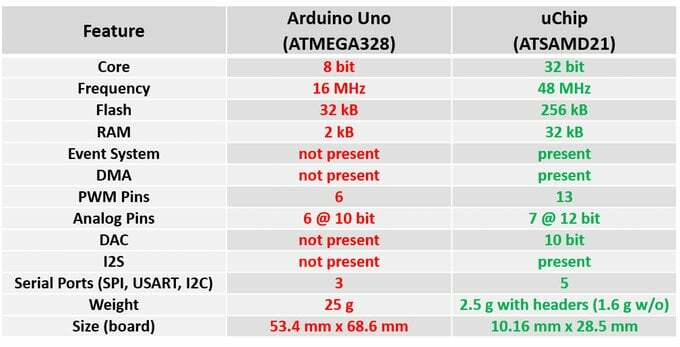 – Up to 5 serials between SPI, I2C and UART. – I2S port for audio decoders such as UDA1334A. – 4-layer board for improved noise performance. – Standards narrow-DIP footprint: 0.3” (7.62 mm) row spacing, 0.1” (2.54) pin spacing. – Pinout standard logic CMOS compatible: power and GND are on pin 16 and 8, so you can also emulate some 16 pin CMOS ICs (4000 and 74HC series)! – Low cost! (13.6€ per board for 10 pieces or 20€/board!). For a complete list of all available pledge options jump over to the official project page on the Kickstarter website by following the link below.